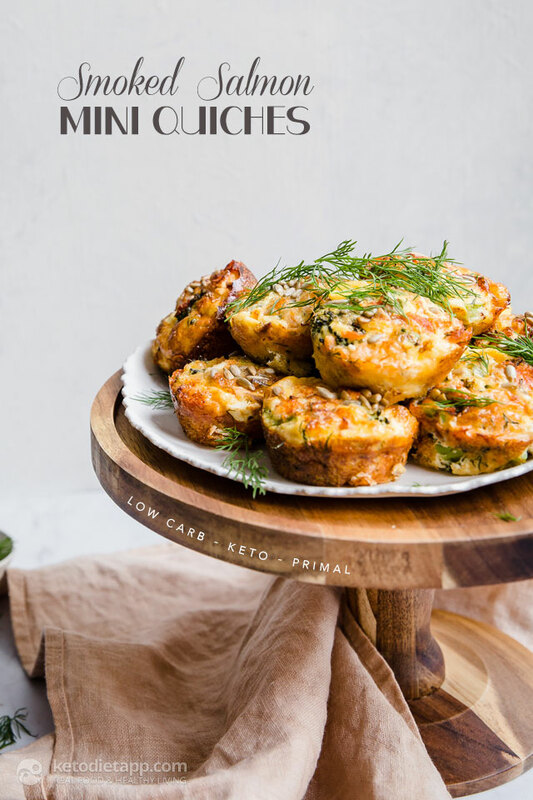 As most of us with busy lives would know, sometimes it’s hard to have the time to cook every meal or snack from scratch, which is why I love having a good collection of make-ahead recipes, and these keto-friendly quiches often feature in my weekly meal prep — they are quick to prepare, versatile, delicious and filling. They also freeze really well which means you can make a double batch, freeze them, and then take a few out at the start of the day to have as a tasty meal or snack later on. 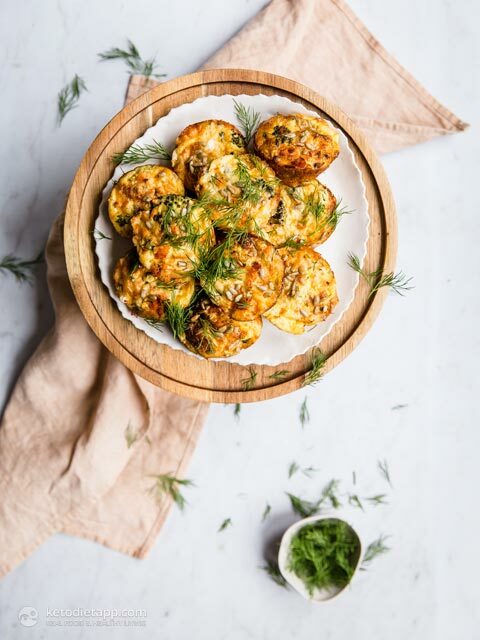 These low-carb quiches combined a few of my favorite flavours — smoked salmon, feta and dill. I’ve also included some sunflower seeds which create a nice little crunch, though you could use any seed here or omit completely if you prefer. Best of all there is only 1 gram of net carbs per quiche! 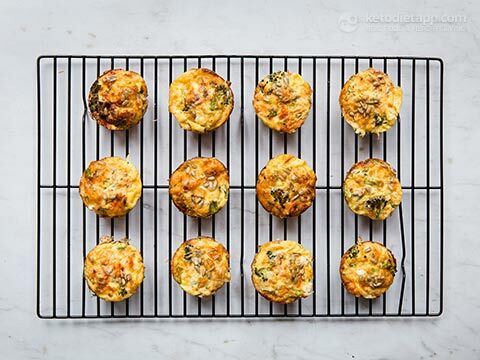 Pack them in your lunch box for a quick, satisfying, and almost zero-carb meal! Preheat the oven to 170 °C/ 340 °F (fan forced), or 190 °C/ 375 °F (conventional). 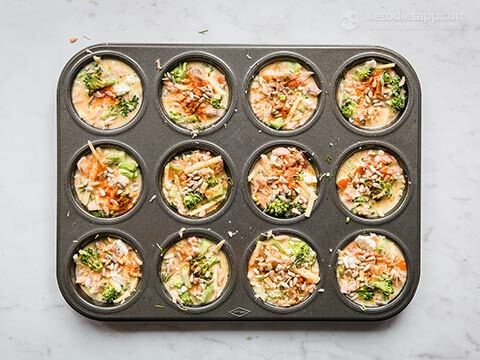 Grease a 12 cup muffin tray with the olive oil, and set to the side. Finely chop the broccoli and dill. 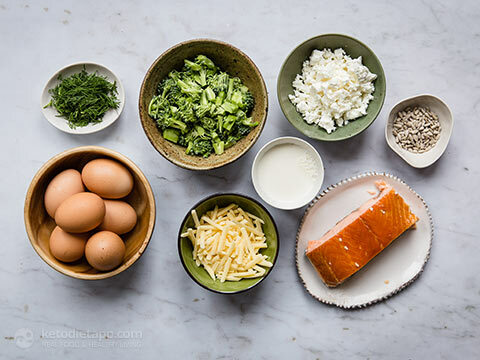 Flake the salmon, and crumble the feta, then add to a large bowl with the broccoli, dill, grated cheese and half of the sunflower seeds. Stir the ingredients to mix together, and then scoop evenly into the prepared pan. 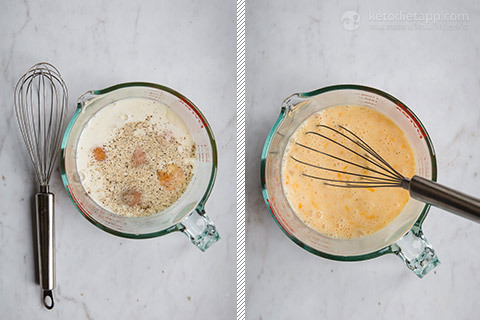 In the same bowl or jug, whisk the eggs, almond milk, salt and pepper. 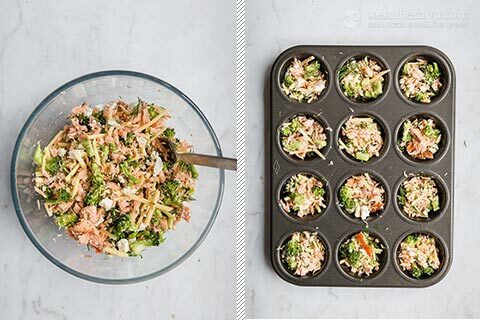 Pour evenly over the cheesy broccoli-salmon mix in the pan. Sprinkle the remaining tablespoon of sunflower seeds and a little smoked paprika over the top of each quiche. Bake 20 – 25 minutes, until puffed and browned on top. Remove from the oven, and allow to cool in the pan a few minutes — they should start to come away from the sides as the cool, but if not, use a knife to gently pry them away. Transfer to a cooling rack. Serve immediately, or store in an air-tight container in the fridge for up to five days. 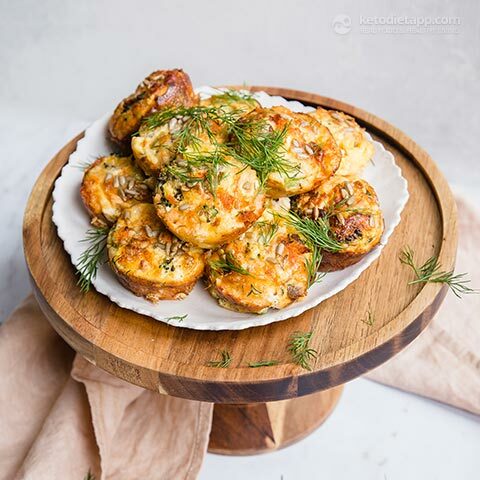 These quiches work well to freeze too, simply place on a tray to freeze, and once frozen, transfer to plastic bags or containers to store. Freeze up to three months. 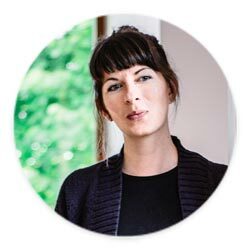 Dearna is a passionate foodie and food photographer, and loves sharing her knowledge and enthusiasm for both via her food blog and online photography courses.